Perhaps the most popular of all inflatables slides is THE BIG KAHUNA!! 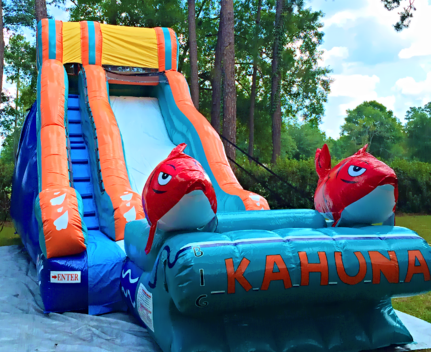 Ride the waves of the Big Kahuna, this is the must have for any party! Complete with two humps and a landing area.